So, I haven't done one of these post's before but as I spend most Saturdays wondering around my local town buying things I don't really need, I figured it might be good to start posting them up...so here goes! I know every one went mad for these Geek t-shirts when they first hit Topshop a couple of months ago and I spotted that they were back in yesterday, I love it though, it's nice and baggy and I like the rolled up sleeves, I am a bit of a geek as well so quite apt for me! They had this in a burgundy red or this forest green but they have a really nice Blue colour in the Petite section but it just looked a bit too short for me, this was £18. Next up are these little shorts, I'm not quite sure what "Cheeky Shorts" are but I'm guessing they're short shorts! 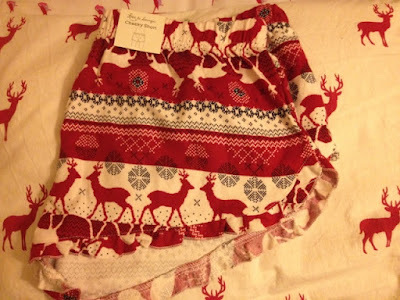 But I quite liked the pattern on these, nice and christmassy and they match my duvet cover as well! Win! These were £3 I think from Primark. 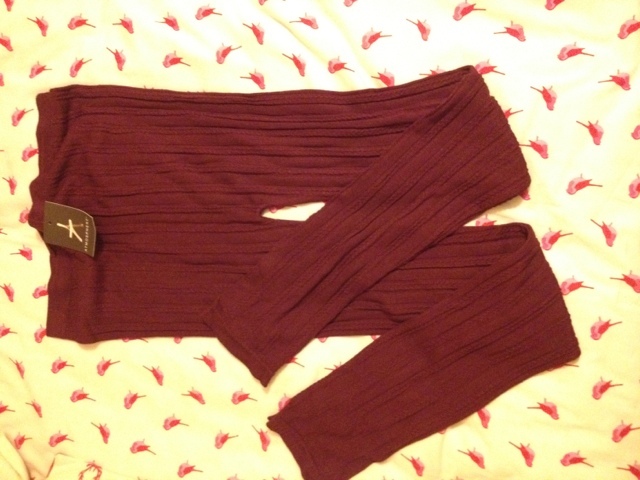 Next up are these leggings, they have a kind of cable knit pattern on them and are super soft, I also liked the colour and picked these up for just lounging around the house, these were quite a bargain at £6 I thought, these are from Primark again. 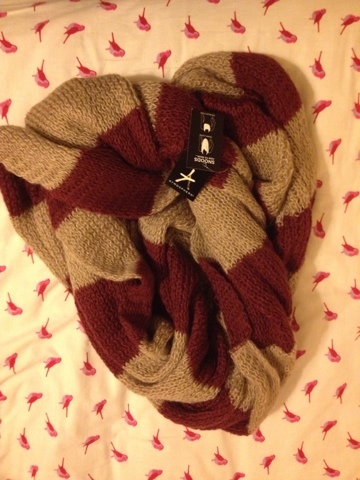 This snood (I love that word) was only £4 from Primark, and as I love anything stripy, I picked it up, the winey red colour also matches my hat but they have a navy and cream version of this as well that I really liked. Again, this feels super soft so it's nice and cosy for winter. 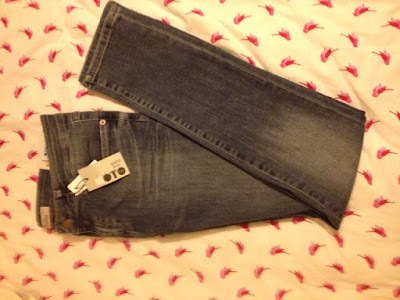 I also got these Baxter jeans for £40 in the hopes that they would be similar to the Jamie or the Leigh jeans but they're not, the ankles on these are huge so just didn't suit me and I also got the wrong length so I just look a bit ridiculous in them, I really like the colour of these jeans though but they will unfortunately going back. And that's it, surprisingly I didn't get any makeup or beauty stuff today, that's normally the only thing I come back with. Do you guys like haul posts? 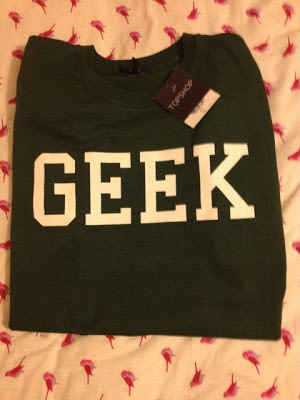 8 comments on "HAUL : Topshop / Primark "
I love the geek jumper from TOPSHOP, great buy. I love the next stuff makes me think of cold nights by the fire so cute. May have to go shopping I could do with some new stuff. I've been seeing that Geek t-shirt around and I love it! I have to go to Topshop and see if I can find it! It's pretty awesome!